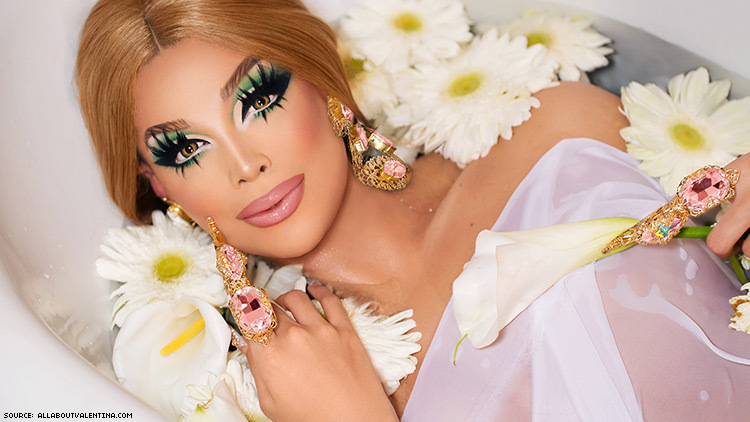 Valentina Identifies as Nonbinary: "I'm My Own Gender"
The 'Drag Race' queen is ready for her 'RENT' debut. Valentina refuses to fit in a box when it comes to gender. Ahead of her debut as Angel Dumott Schunard in Fox’s live production of RENT, the star of RuPaul’s Drag Race’s ninth season and RuPaul’s Drag Race All Stars 4 revealed details about her own gender identity. Valentina is now one of several Drag Race alumni who identify as either nonbinary or gender nonconforming like season six’s Courtney Act who is genderqueer, season seven winner Violet Chachki who is gender fluid, and season five winner Jinkx Monsoon who is nonbinary. Valentina’s season nine castmate, and All Stars 3 contestant, Aja is also nonbinary. Coincidentally, the gender identity of Valentina’s Rent character, Angel, gender identity has been the center of ongoing speculation for years. While some fans believe Angel, who Pose actress Mj Rodriguez portrayed in an Off-Broadway production in 2011, to be a gay drag queen, others believe the character is transgender or genderfluid. For her part, Valentina's team clarified that she will still go by she/her pronouns. Regardless, the burgeoning actress said her identity has informed how she’ll play Angel. And it’s a role she doesn’t take lightly. “I do take the responsibility of being a gay nonbinary drag queen person taking on a really important iconic role like Angel and I hope [audiences] tune in for it,” she said. RENT airs on FOX on Sunday, January 27 starring Valentina as Angel along with Tinashe as Mimi, Vanessa Hudgens as Maureen and Kiersey Clemons as Joanne.